COURTESY PHOTO | New York State Comptroller Thomas DiNapoli. Tuesday morning, with the sun shining but the air crisp, the Reporter went along for the ride at South Ferry. 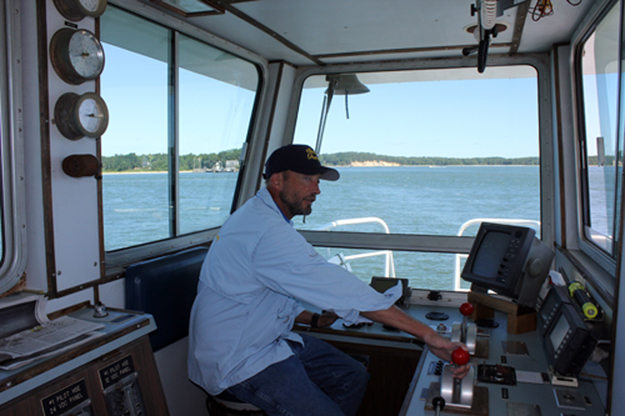 All was calm out on the water, so the approximately five-minute trip from Shelter Island to North Haven was “just another day” for the captain. Statement from Governor’s office on new utility for L.I. 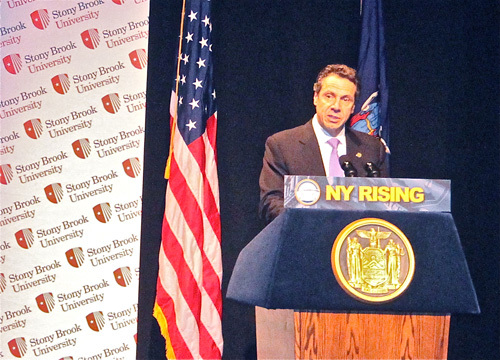 PAUL SQUIRE FILE PHOTO | Governor Andrew Cuomo speaking in Stony Brook earlier this year. In the aftermath of Superstorm Sandy, the Governor established the Moreland Commission to investigate utility companies’ storm preparation and response efforts, including the Long Island Power Authority. The Commission found that in addition to LIPA’s failure to perform during the storm, the organization’s structural dysfunction was responsible for poor customer service, high rates for customers, a large debt load, and an insufficient and antiquated infrastructure. That’s why Governor Cuomo proposed legislation today to transform the utility service on Long Island into one that puts ratepayers first and focuses on ensuring better performance and accountability for customers. The Governor’s proposal privatizes the operations of the utility system, creating a structure that prioritizes customer service and emergency response, reduces the cost of LIPA’s debt, and puts in place real government oversight. The people of Long Island deserve more value for the rates they pay, which is why the new utility company is seeking to freeze rates for three years. This will be welcome relief for a region still in recovery from Superstorm Sandy. Click here to read more about the Governor’s detailed proposal for a new Long Island utility company. Together, we are making government work for the people once again.